The IT capital of India, Bengaluru, has accounted for 40% of the winners in the India Emerging (ie) 20 competition for startups organised by Mayor of London. Out of the 326 startups that applied for the awards, 20 winners are selected. 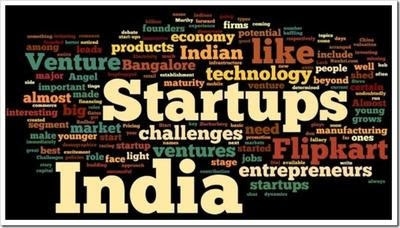 Bengaluru accounted for eight winning startups, followed by seven startups from Delhi. The IE 20 programme was launched by the Mayor of London’s official promotional agency, London & Partners, in collaboration with BDO and Lalit Hotels, with the aim to identify some of India’s most ambitious companies that are considering international expansion. Among the prominent startups from the city that won the award, include famous tea company and a cafe chain with focus on the tea-based beverages - Chai Point. The companies selected to join this year’s programme will receive help in setting up or expanding their business in London. The winners will also have the opportunity to benefit from discounted rates on a London office and tailored expert advice on marketing, access to finance. Last December, the Mayor of London Sadiq Khan visited India on a trade mission in which he announced a number of Indian investment deals for London, including 400 new tech jobs for the capital. “London is a truly global business centre and presents lots of opportunities for Indian companies looking to expand their business overseas. I am delighted that my India Emerging 20 programme is helping some of India’s fastest growing companies with their international growth and London remains open to investment, talent and collaborations with India,” Khan said. Further analysis of London & Partners investment data shows that 2017 was a record year for foreign direct investment from India into London. “London & Partners launched their proprietary property - IE 20 with BDO as the nominating partner and has successfully completed 3 years of identifying high growth Indian companies,” Arbinder Chatwal, Partner and Head of India Advisory Services team at BDO said.